Internet undoubtedly serves as an excellent platform for selling products and services to a wider group of audience. With your online store open for the public on a 24/7 basis, you can expect a visible growth in your overall profit rate. So, if you too have been tempted by the multiple possibilities available with an e-store and want to create one, then this is a blog that will tell you all. Here, you’ll find a list of 15 common mistakes that need to be taken into account while building an e-commerce store for sky-rocketing your business growth. So, let’s take a closer look at these mistakes. Planning To Design an e-store? Since the element is interaction is completely removed in case of an online store, it is absolutely essential for you, as an online entrepreneur to include thorough details within the information furnished for different products provided by your e-store. With a half-baked product information, your customers are likely to get redirected to your competitor’s site, which is definitely something you wouldn’t want to happen. As an e-commerce business owner, you need to put yourself into the shoes of the website visitors and perceive the way products and services are presented. You need not get indulged in a poor showcase of e-store products, rather you must include the use of high-quality, appropriately sized product photos that can render a flawless first impression on the purchasers. 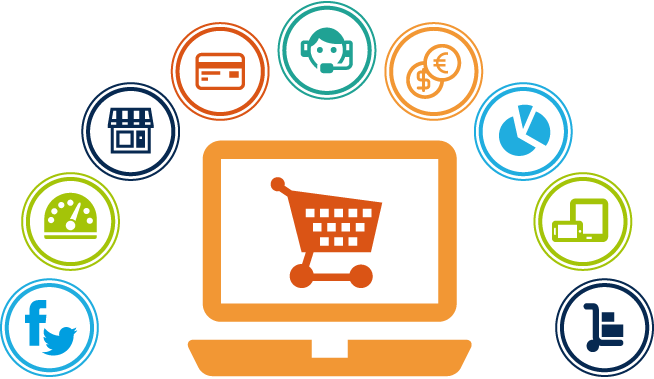 By a wrong choice regarding the e-commerce platform for running your e-store can easily introduce confusion and frustration into the entire online purchase experience. Just ensure that the e-commerce platform you choose for your needs is up-to-date, fully customized and professionally supported. This is perhaps one of the most common mistakes made by e-store owners. It is actually essential for you to pay special attention to product marketing in order to receive the desired results within least amount of time. Not every buyer is interested in creating an account with an e-store and hence it is better to remove the clause of account creation for allowing the users to place an order. As an approach to capture customer attention, doing this will make you successful. Purchasers tend to get turned off by a long and hard-to-understand checkout process. If you want maximum purchases made via your e-store, it is recommended to cut down the steps between placing an order and paying for the product(s). Providing your customers a handy way of getting in touch with you is something that will allow you to keep them engaged to your products and services. Whether it’s regarding a technical question, a product return request or a sales question; make sure to offer a handy request form for the customers. This is a mistake that can lower user engagement for your e-commerce website. It is recommended to use multiple images, clicked from different angles for each product available within the e-store database. This will render a clearer picture about your product(s) and encourage customers for making a purchase. Getting your e-store ranked organically on Google is a time-consuming process which shouldn’t be taken for granted. You need to create inbound links which will allow you to add visibility and credibility to your e-store. With shopping cart being an indispensable component of every e-commerce website, it is advised to opt for a shopping cart design that is capable of receiving several applauds. Ensure that every shopping cart user can easily add an item and return to the previous page without getting confused. If your e-store has to include a lot of products belonging to several categories, then it is recommended to pay special attention to the navigation asset of your online portal. The lack of an accurate shipping price for your e-store products is probably something that can refrain visitors from making a purchase. The reason being very simple. By not being familiar with the total payable amount for the product(s), the customers find it difficult to decide whether the product’s shipping prices are high or low. Irrespective of whether a visitor is purchasing from your e-store or not, he/she is definitely revealing a vital information, which if used in the correct format can allow you to offer an improved user experience. There are online merchants who ignore the importance of having a separate strategy for this. Prior to making a purchase from your e-store, the customer would want to know about your store policies. Many online entrepreneurs forget to include these e-store policies, therefore making it tedious for customers to have a better picture about the order that they’ve placed. Addition of related products is an easy means of increasing the add-on sales for your online business. There are web-based business owners who neglect the inclusion of any such related products, refraining customers from exploring multiple offerings by the e-store. After getting familiar with the 15 most common mistakes made while building an e-store, I hope you’d have become all motivated to design an e-store that looks stunning and functions in the desired way. This entry was posted on Monday, April 6th, 2015 at 14:58 and is filed under Articles, Resources. You can follow any responses to this entry through the RSS 2.0 feed. You can leave a response, or trackback from your own site.